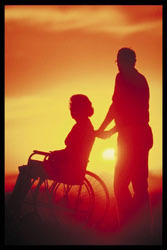 Long Term Care may be the most important investment you make in yourself over your lifetime. 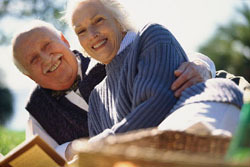 We are all living longer which is vastly preferrable to the alternative but living longer also means your chances of needing long term care rises; statistics indicate that that the majority of us will need long term care services. In 2008 the median annual rate for private nursing facility room was $67,525 in 2013 that increased to $83,950 per year. How much will it cost when you need it and how will you prepare? I can just go on Medicaid and save my estate for my spouse or family - This is false, Medicaid has strict limitations and requirements before it will cover long term care. The government currently has a 5 year look back period on assets owned prior to the application for medicaid long term care services. All assets owned in the previous 5 years will be considered available for your care and will have to be spent toward your care (even if transferred during the 5 year period) before medicaid will cover any costs (there are few exceptions to this rule). Where does this leave spouses, children and extended family? We have access to some of the best products on the market and the knowledge necessary to help you navigate the complicated process of evaluating the policy features and benefits. When you finally need to activate your policy we will work with your loved ones to help them understand the policy, help them navigate the paperwork for policy activation and supply them with additional resources which they will need to be an involved part of your continuing care. Call us to see how we can help you.